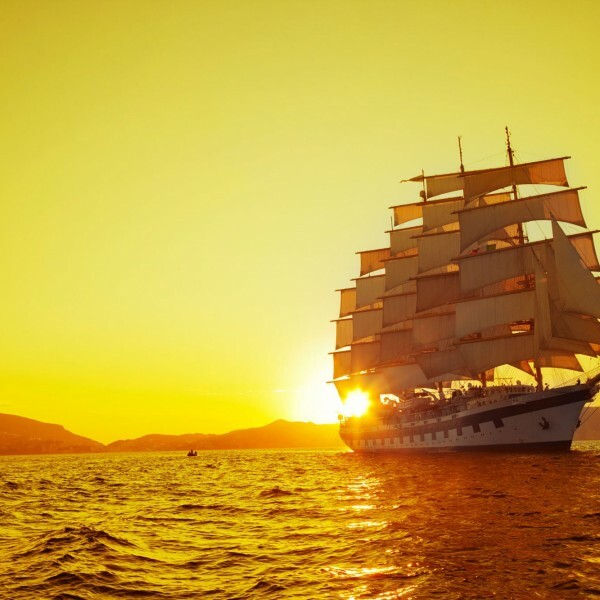 Star Clippers offers sophisticated travellers the ultimate cruising holiday alternative. 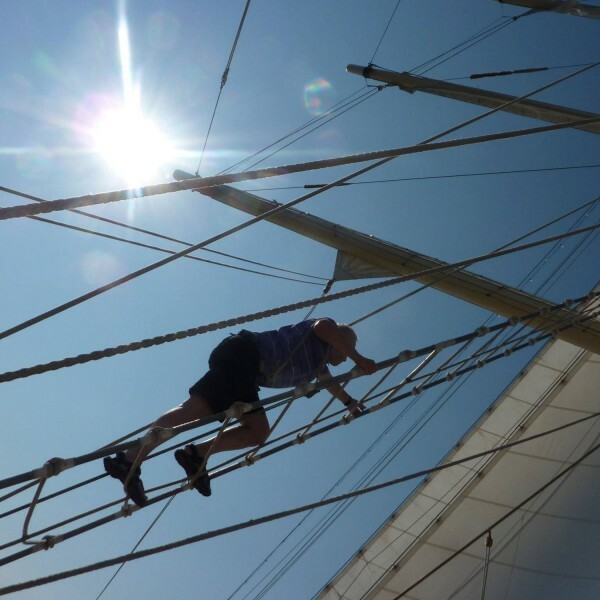 Experience a tall ship “mega-yacht” holiday aboard authentic re-creations of the classic sailing clipper ships that ruled the waves during the 19th century. Star Clippers’ three tall ships are able to reach smaller ports of call which larger cruise liners are simply unable to access. Making your holiday even more exciting and unique. 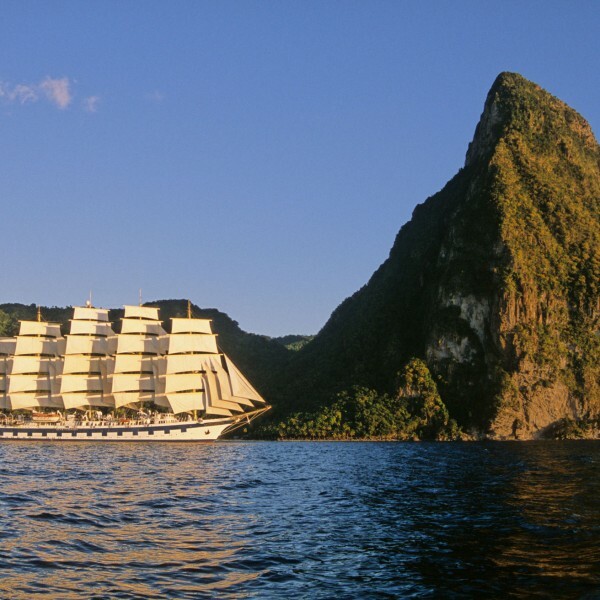 Star Clippers operate three of the largest barquentine and full-rigged sailing ships in the world. 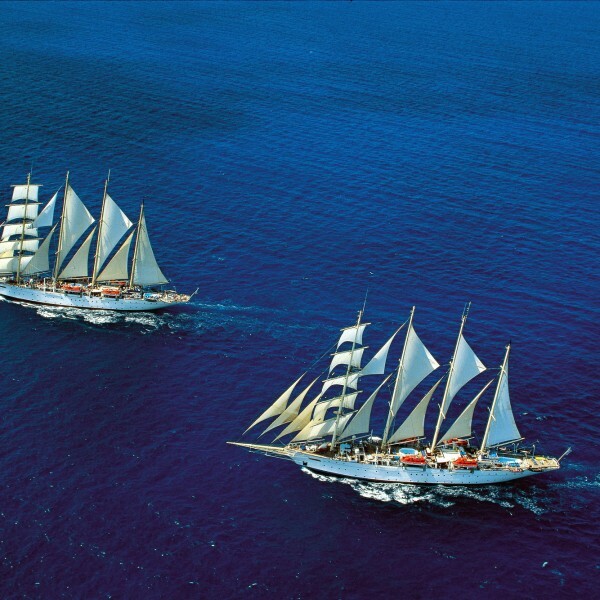 Star Clipper, Star Flyer and flagship, Royal Clipper. Each offers the activities, amenities and casual yet elegant style of a private yacht. Unlike today’s big cruise liners, with their glitz and glamour entertainment, here you are more likely to join in good-natured competitions and games, though the dance floor is never empty. 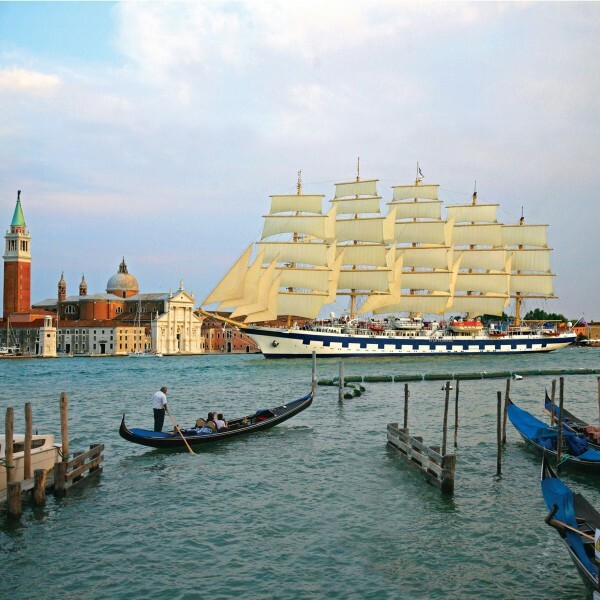 Almost 60% of passengers making a repeat voyage with Star Clippers, choosing among itineraries in the Caribbean, Central America, the Mediterranean, Northern Europe and the Far East, as well as six options for ocean crossing. Malta registered Star Clippers enjoys a well deserved reputation for that special, once-in-a-lifetime, holiday. Our guests want to experience it over and over again. Flagship Royal Clipper is the largest true sailing clipper ship in the world today and joined Star Clippers’ fleet in 2000. For connoisseurs of sail cruising, the 134 metres Royal Clipper Royal Clipper offers the ultimate sea-going experience balancing the adventure of sailing with the service and amenities of the finest modern yacht. She is the first five-masted, full-rigged sailing ship to be built since 1902. At 439 feet long, she carries 42 sails with a total area of 56,000 square feet. Her highest mast, at an extraordinary 197 feet, includes a 19 foot hinged top section that can be folded down for passing under bridges and power lines. Royal Clipper’s ageless Edwardian style, designed by Donald Starkey, delivers a warm, welcoming atmosphere with traditional, nautical flourishes. A full 1760 square metres of open deck and three swimming pools create a wonderfully spacious and expansive outdoor environment. Royal Clipper’s interior spaces are just as impressive. They include a 3-deck atrium that funnels sunlight into the elegantly-appointed dining room, featuring deliciously pre-pared cuisine and a no-tie dress code. A convenient marina platform lowers from the stern for watersports. And the ultimate unique Royal Clipper experience, the one-of-a-kind Captain Nemo Lounge, is the site of our spa and health club, with underwater glass portholes. This majestic ship balances magnificence and adventure with luxury and tradition to create the ultimate seagoing experience. Star Flyer and Star Clipper, launched respectively in 1991 and 1992, are the first clipper ships since 1911 to be granted the certificate of Sailing Passenger Vessel (S.P.V.) by Lloyd’s Register of Shipping. They are both four-masted, square-rigged barquentines, 360 feet long, with 36,000 square feet of sail and they can carry up to 170 passengers and 75 crew members. Life aboard is blissfully relaxed, much like travelling on a private yacht. Star Clipper and Star Flyer are modern cruise ships in every way, created for passengers who love the traditions and romance of the legendary era of sailing ships. Both ships offers spacious accommodations and expansive teak decks with ample space and two swimming pools. 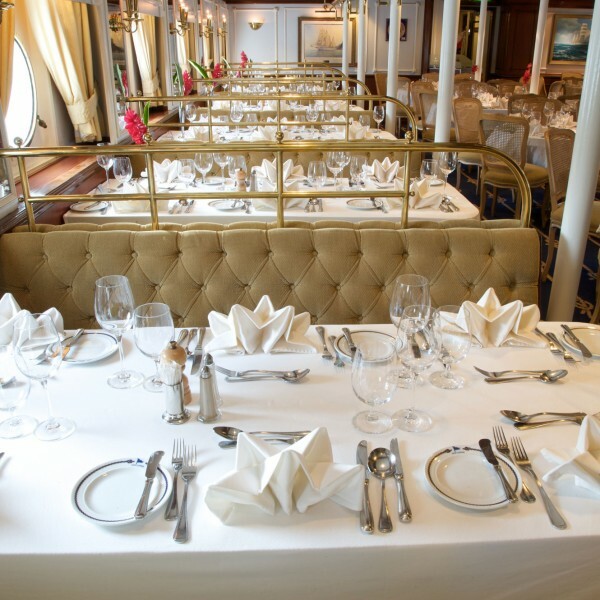 The decor of Star Clipper and Star Flyer is reminiscent of the grand age of sail. Antique prints and paintings of famous sailing ships please your eye, while teak and gleaming mahogany rails are richly remindful of Star Clippers’ proud nautical heritage. All Star Clipper’s ships feature open-seating dining in an elegantly appointed dining room, our convivial indoor- outdoor Tropical Bar and Piano Bar and an Edwardian style library where a Belle Époque fireplace glows with a warmth that reflects the friendliness and the enthusiasm of Star Clippers’ hospitable officers and crew. For more information and prices on luxury cruises with Star Clippers, call us on 01923 883523 or email info@ultimatedestinations.co.uk. We will be delighted to be of service.